Born and raised in da burgh we know all about the hometown pride yinz have! 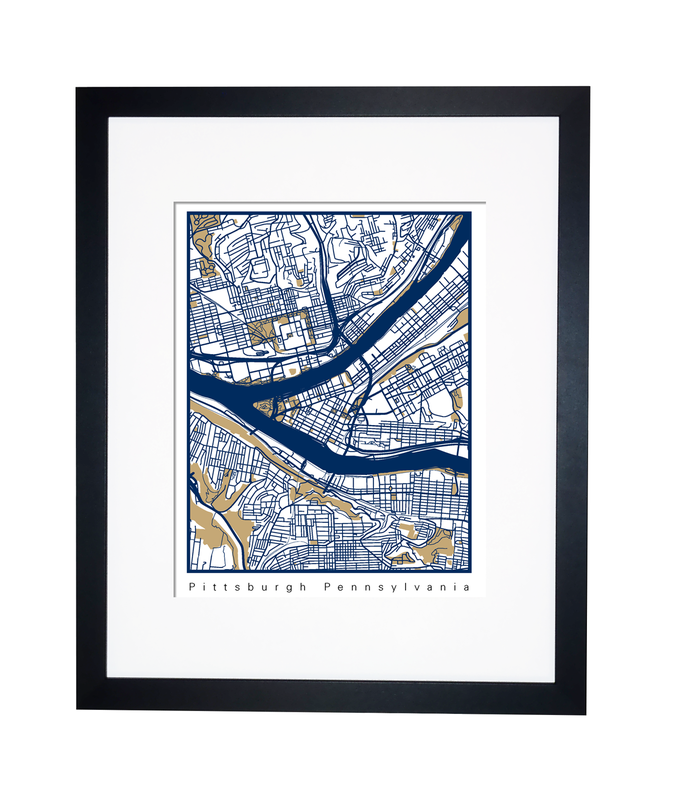 Hang this steel city map proudly in your home! Step it up a notch and have that Pittsburgh Themed wedding you always wanted. This city map is available in 4 standard colors reppin’ all of the home town sports teams. Do you want it matted by us? Art is 11 x 14 inches.